CARACAS, WILLEMSTAD - Venezuela has extended the border closure Aruba and Bonaire and Curaçao again, and now for an indefinite period. 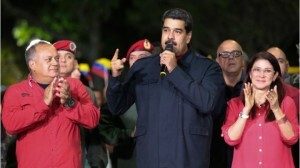 There is a draft agreement between the parties involved, but the Venezuelan President Nicolas Maduro does not want to sign it as long as the islands do not address the smuggling from Venezuela to his satisfaction. Maduro closed the border a week and a half ago. According to him, people illegally go to the ABC islands, but also drugs, weapons and minerals are smuggled. Since then, the president extended the blockade several times with three days. Negotiations between representatives of the islands, the Netherlands and Venezuela have not yet led to a solution. The delegations reached an agreement on Friday to open the borders, according to the Curaçao government, but for a final deal, Maduro's signature is needed. Venezuela does allow an exception for stranded travelers. For example, Venezuelan holidaymakers who are stuck on one of the islands can fly home again, just like islanders who could not leave Venezuela. Extra flights are used for this.